Elastico alle 2 estremità per una maggiore adattabilità. Universal Dunlop Fahrradüberzug Reißfest & wetterbeständig Einfache & schnelle Montage Farbe: grau/silber Abmaße: 210cm x 110cm Lieferumfang: 1 Stück Kompatibel zu Marke / Modell: Universell passend für viele Fahrrad- und Roller Modelle. • XL (245 lunghezza x 80 larghezza, altezza x 115 cm). • Ideale per proteggere la vostra moto da pioggia, neve, sole e polvere. Sonic Moto. CONTATTATECI IN CASO DI PROBLEMI CHE COMUNQUE POSSONO ACCADERE: GARANTIAMO AL 100% UNA SOLUZIONE. TG M 140 X 240 CM. Protegge LA MOTO da: sole - neve - pioggia - polvere. • Ideale per proteggere la vostra moto da pioggia, neve, sole e polvere. Sonic Moto. CONTATTATECI IN CASO DI PROBLEMI CHE COMUNQUE POSSONO ACCADERE: GARANTIAMO AL 100% UNA SOLUZIONE. FOTO: le foto presenti nelle inserzioni sono di norma a solo titolo dimostrativo. • Copertura moto. • PROTEZIONI: protegge dal sole e dalla polvere. • Ideale per proteggere la tua moto dal sole e dalla polvere. • COLORI: grigio. • INTERNO: cuciture di rinforzo. • Ideale per parcheggiare la moto in garage e la si vuole tenere quanto più pulita possibile, applicabile con un semplice gesto. Urban Scooter Apron. Apron is tailor-fitted to rest over legs when riding. Wind Proof Waterproof Fleece Lining Winter Leg Cover. Inner fleece lining for maximum warmth. Provides wind and rain protection for rider. Codice : 967893AAA. Scritta Ducati Performance all'altezza del cupolino. Monster 800 2004. Superbike 996 S 2001. Superbike 996 R 2001. Superbike 996 2001. Superbike 748S/748E 2001. Superbike 998 S Bostrom 2002. Sacoche pour télé-péage SHAD NEUF. Référence SHAD : X0SL01. • COLORI: blu. • Ideale per proteggere la vostra moto da pioggia, neve, sole e polvere. Sonic Moto. CONTATTATECI IN CASO DI PROBLEMI CHE COMUNQUE POSSONO ACCADERE: GARANTIAMO AL 100% UNA SOLUZIONE. Misura 160 x 260 cm. portatile leggero e sottile. This is the best cover you can buy for your bike. Here's why:It is very strong. 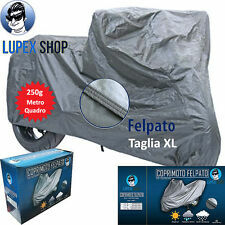 TELO COPRIMOTO TAGLIA 210 X 120 CM IMPERMEABILE COVER MOTO IN PEVA Telo copri moto/scooter di grandi dimensioni, realizzato in PEVA impermeabile al 100% antistrappo antipioggia di colore grigio Protegge il veicolo da: pioggia, neve, sole, resina, polvere senza elastico Misure: 210 X 120 cm. Scooter Dust Cover RCOIDR02 - Our Referance RCOIDR02. • Ventilated. Another Juicy Design by Obscure Technical Services. 1x Bikeit Large Indoor Dust Cover. • Shape to fit styling. Related Products. • Suitable for motorbikes >500cc. Deluxe Polyester Raincover Suzuki 1250 GSF Bandit 2009 RCODEL04 - Our Referance RCODEL04. 1x Bikeit Extra Large Deluxe Polyester Raincover. Deluxe polyester ventilated raincovers, featuring Rip-Stop fabric and water repellent coating. For garage/indoor use. Washable, breathable fabric. Suitable for all K1-L5 (2001-2015) Bandit SFV GS GSR GSX GSX SV models. 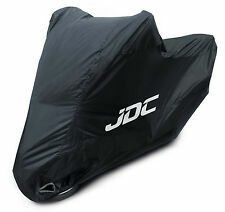 Suzuki Genuine Part - Indoor Motorcycle Cover (GSXR) - 990D0-ICGSX-000. IMPORTANT NOTE: UK is Mainland Only. 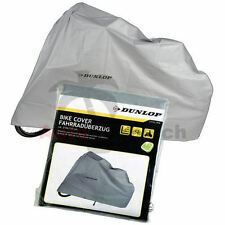 Motorcycle Dust Cover Ducati 944 ST2 1999 RCOIDR02 - Our Referance RCOIDR02. • Ventilated. Another Juicy Design by Obscure Technical Services. 1x Bikeit Large Indoor Dust Cover. • Shape to fit styling. COPRIGAMBE DA INDOSSARE TUCANO URBANO TAKEAWAY R093. (NOT NORWEY). Creato con il software gestionale Ready Pro. Codice : 218-MA. Bike It Indoor Dust Cover RCOIDR02 is an indoor cover for motorcycles in a size L which fits motorcycles of 750cc-1000cc. This is made from breathable non-woven material and has a shape to fit styling. Produktinformationen "Indoor-Abdeckplane Cover Indoor". Stiefel / schuhe. von derzeit 19% enthalten. Größenangaben in cm. This essential indoor and outdoor cover provides you with a tough outer that shields against dirt, weather and light knocks. Featuring an adjustable belly strap to hold it in place and strategically positioned holes to facilitate the use of a lock, making this cover easy to use as well as being protective. Passend für diverse BMW Modelle, ist die Plane der perfekte Schutz vor Wind und Wetter. BMW Abdeckplane für R nineT. BMW Abdeckplane passt für verschiedene BMW Motorräder. The Bike It Deluxe Rain Cover in XXL RCODEL04 is a heavy-duty motorcycle cover made from heavy duty Polyester with a PU coating making this waterproof. The XL fits 1200CC motorcycles and above with luggage. The Bike It Deluxe Rain Cover in XL RCODEL04 is a heavy-duty motorcycle cover made from heavy duty Polyester with a PU coating making this waterproof. The XL fits 1200CC motorcycles and above with luggage. The MotoGP Dust Cover in Black and Grey MGPDSV01 is an official Moto GP product made from lightweight 75g non-woven shell with full protective heat resistant lining and adjustable under-bike webbing strap with klik-fast buckle. The MotoGP Dust Cover in Black and Grey MGPDSV02 is an official Moto GP product made from lightweight 75g non-woven shell with full protective heat resistant lining and adjustable under-bike webbing strap with klik-fast buckle. 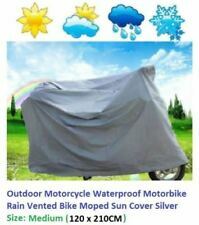 The Bike It Standard Motorcycle Rain Cover RCOBDG03 is a fully waterproof cover made from highly durable PVC. This is UV-resistant and includes a storage bag. The Size XL fits 1200CC bikes and above. The MotoGP Motorcycle Rain Cover in Black and Grey MGPRCV03 is an official Moto GP product with the MotoGP logo on the side. This has a full protective lining with a heat resistant section and adjustable under-bike webbing strap with Klik-Fast buckle and mirror section venting. Harley Davidson VRSCD 1130 Night Rod 2006. Harley Davidson VRSCD 1130 Night Rod 2007. How annoying it is to have a scratch or dent on a beautiful tank paintwork?. 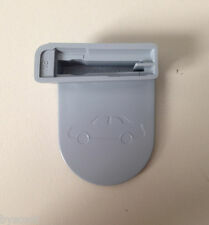 - Superb for almost any tank sizes and materials (plastic, steel, aluminium). 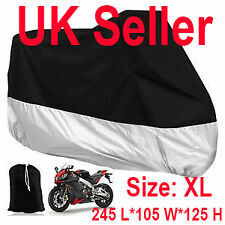 Ducati Breathable Indoor motorcycle Motorbike bike Dust cover 916/996/748/888/851. An easy and stylish way to protect your Ducati. This is for a Black and White indoor breathable motorcycle cover which gives a semi tailored fit. Damit ihr auch morgen noch kraftvoll durchstarten könnt. Bester Schutz vor Wetter und Schmutz mit einer neue Faltgarage / Abdeckplane für euer Zweirad. Es handelt sich hier um die Größe M, welche mit einer Länge von 205 cm alle Roller und Mopeds bis zu 125 ccm abdeckt. Faltgarage für BMW C1 125 und 200. Ein Motorradhelm ist für alle Fahrer von Krafträdern ein Muss und schützt bei Stürzen oder Unfällen. Manchmal braucht man neben der Hardware auch den passenden Schmierstoff. Faltgarage Premium JMP. Die Faltgarage besitzt außen eine PVC-Beschichtung und ist somit 100% wasserdicht, im inneren der Plane befindet sich ein Vlies, wodurch Kratzer am Motorrad verhindert werden. Aquatex Camo. 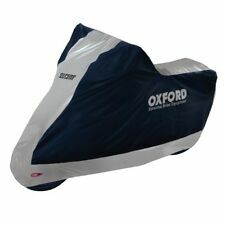 Oxford Aquatex Essential Indoor & Outdoor Bike Cover. We are an Authorised Oxford Dealer. Strategically positioned holes facilitate use of a lock. Elasticated base and adjustable belly strap hold it in place. Coprigambe anti pioggia universale Scooter e Maxi Scooter. Infatti da noi potrai trovare tutto ciò che ti necessita per la tua due ruote. In caso di manomissione, avarie, ammanchi, ecc. Nel catalogo prodotti pubblicato sul ns. Motorcycle Top Cover Honda 700 NT V Deauville 2012 RCOTOPL - Our Referance RCOTOPL. Another Juicy Design by Obscure Technical Services. • Compact size and pillion seat bag for easy storage. • Protects upper half of bike.